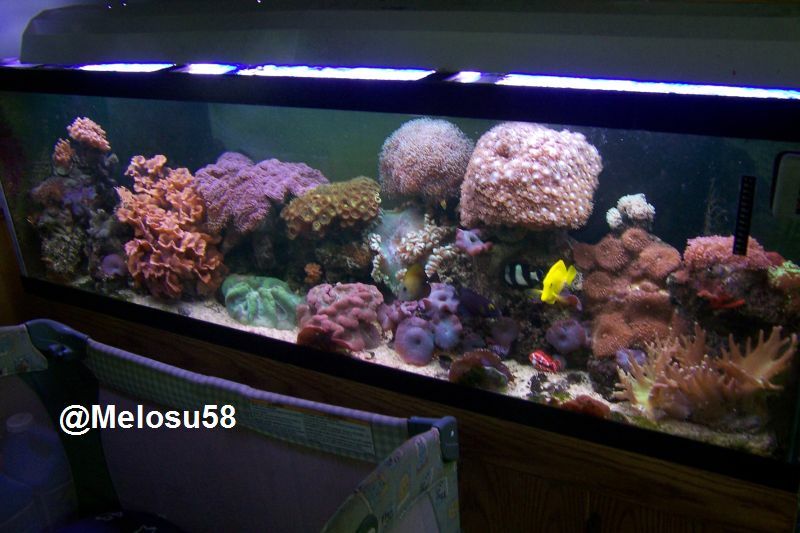 I was wanting to do a 20 gallon Saltwater tank that will only hold 2 Ocellaris Clownfish. I was wondering if I only put a Rose Bubble Tip Anemone in for the Clowns to host, if the Anemone would be good by itself in the tank. My set up would be really simple. I was thinking of a Fluval Canister Filter (C4) which is rated for 40 to 70 gallons. One Nano Power Head for flow, heater, a Nano Skimmer (thankfully cheap), 20 pounds of live rock, and 30 pounds of live sand. I would basically put the rock in the center of the tank, in hopes the anemone will take root there. Being it will be the only rock in the tank I would think it would be a good bet it will. If not I will try to change the flow around to get him to move where I want. so as you can tell it would be a bare tank mostly, with the goal being the two clowns hosting the anemone in the middle. Fish Sticks, the best thing you can do with your dead fish. There is no guarantee the clowns will form a relationship with the anenome but I hope it works out. If you are going to go with a minimalist look for the tank I would drop it down to 10 lbs of live rock and just do a small mountain in the center of the tank for your nem to hopefully perch on. How long are you going to wait before adding the nem? I wold have to let the tank run for at least 6 months before I add the Anemone! I know there is no guarantee the clowns will form the relationship I would want, but I figure that I could take the ones back that don't form a relationship and get ones that will. Meaning I will just keep going though Clowns until they do. I figure with that being the only thing in the tank to take up residence in, it would be a very strong possibility they will. I am just wondering what to add to the tank before I get the nem. Because I won't be putting my Clowns in until after I get the nem all settled in. Maybe a cleaner shrimp some snails and 2 Kaudern's Cardinals? Would the light I listed be good enough for the nem?? High output light looks good to me. You do see that the light you linked is for a 55g tank? Its 48 inches wide. Yeah, you have to click on the 24in x 3in option on the page. :-p Which is only $154.39. I had it selected when I placed the link, but I guess it just goes to the 55 as default. LOL, ok. Just checking. Didnt want you to mess up. hehe believe it or not some people do. I also think a 4 bulb t5 should do the trick. It will also let you grow some coral if the desire ever arises. The reason I was asking if a 20 gallon was ok for this guy, was because Liveaquria said it should be in a 30, but that's because if you want more coral as it needs space so it won't sting other corals. So that's why I only wanted to do this guy only in a 20, plus I want the two clowns to host it. I figure with that being the only thing in the tank, the clowns would host it.